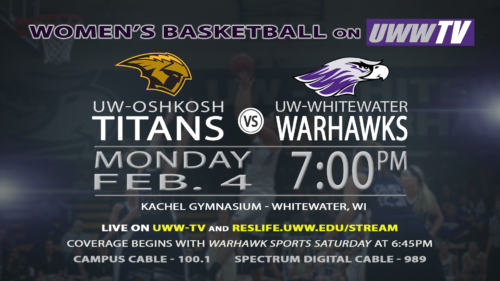 UWWTV – UW-Whitewater Women’s Basketball to host UW-Oshkosh in Postponement Game! The polar vortex has passed and basketball is back in session. After the UW-Whitewater campus closed last week due to the dangerous weather conditions, the original game set for last Wednesday is now back on! Tomorrow, LIVE on UWW-TV, the Lady Warhawks will host the UW-Oshkosh Titans in their second WIAC Conference game this week. Start time is set for 7:00 pm CDT, but we will be taking you court-side with our Monday version of Warhawk Sports Saturday beginning at 6:45 pm CDT. Both teams carry top heavy overall and conference records so this match looks to be a battle of skill. You do not want to miss this game postponed by ice, but set ablaze by the only goal in mind… to WIN! 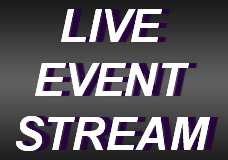 Tune into UWW-TV tomorrow night at 6:45 pm CDT for a battle of WIAC fury!